A team of researchers from the University of Twente and from Philips in the Netherlands has succeeded in taking an important step in understanding how light is scattered, absorbed and re-emitted in white light emitting diodes (LEDs). This breakthrough in research is relevant to everyday lighting applications, and is being published in the American magazine Journal of Applied Physics. There is a strong worldwide drive to efficiently generate white light for many every day lighting applications. The drive is notably fueled by the fact that some 10% of total electricity production is consumed by lighting. It is a modern approach to employ efficient and long-lived white light emitting diodes (LEDs). State-of-the art white-light LEDs take advantage of the fact that essential components are not transparent, but that light is scattered many times (see figure above). Light then performs what is known as a "random walk", similar to the path of hikers lost in a dense forest, who want to return home, yet at every step they lose track of where they came from. As a result light becomes diffuse, which serves to obtain an even lighting without hot spots or without angular coloring, which is highly desired for many applications. 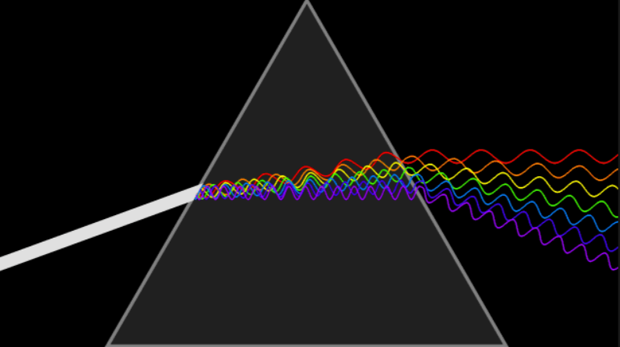 Moreover, photons are recycled to yield more red and yellow light. Thereby cost efficiency is improved, and energy consumption is reduced. "Challenges in understanding the optical properties of white LEDs arise from a limited understanding of the light scattering, absorption and re-emission" says prof. Willem Vos, the leading researcher of the group. The properties of the LEDs are currently described by models wherein light scattering, absorption and re-emission is treated by ray-tracing and Monte Carlo techniques. Vos notes that "currently the LED spectra cannot be predicted quantitatively, or that optical parameters must be "fudged" to match with measured data". These limitations clearly hamper the design and development of efficient white LEDs. The Twente and Philips Lighting team took an original approach to characterize light scattering, absorption and re-emission. The researchers, collected the light exiting in all directions from a LED diffuser by carefully spectrally filtering the incoming light and separately filtering the outgoing light (see fig. 2a). 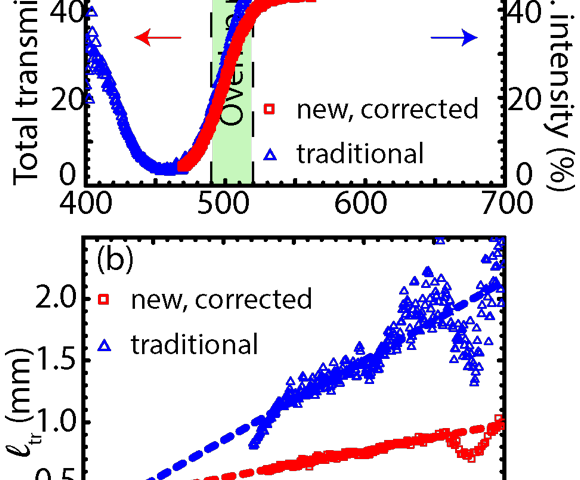 In the wavelength range from green to red the total transmission differs by 10% points from transmission measured in conventional manner. They then used Nanophotonic theory, wherein light scattering is described from first principles, to derive from the measurements the mean free path, which is the average distance after which photons lose their sense of direction (like the hikers in the forest). The mean free path differs by more than 50 % from the one extracted with the traditional approach (see fig. 2b). The new insights are being used to considerably improve the design of white LEDs. Notably this yields more energy-efficient LEDs that have a lower environmental impact in a much more efficient way. The research paper "How to distinguish elastically scattered light from Stokes shifted light for solid-state lighting?" is authored by Maryna Meretska, Ad Lagendijk, Henri Thyrrestrup, Wilbert IJzerman, Allard Mosk and Willem Vos, and appears in Journal of Applied Physics.